Nissan Almera (2000-2006) - Car Reliability Index | Reliability Index | How reliable is your car? You may think that the Almera is synonymous with being boring, but it's actually a good car to drive, even if it is uninspiring to look at. However, the dull image makes the car a great used buy because depreciation is savage yet the cars are inherently reliable. They also appeal to owners who mollycoddle them, so there are plenty of cracking low-mileage used examples out there to choose from. 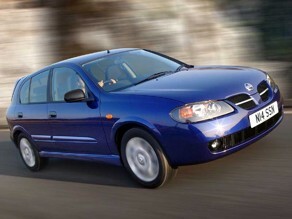 2/00 Second-generation Almera arrives in three and five-door hatchback forms. 10/02 The unloved four-door saloon is introduced; few are sold as the hatch is much more practical. Meanwhile, the hatch is also facelifted, with fresh headlamps and redesigned bumpers. 3/03 2.2dCi turbodiesel engine replaces previous 2.2Di unit. It's more frugal and refined as well as more powerful. 8/03 Dual-fuel 1.8 LPG is now offered; you'll struggle to find one though. Crankshaft position sensors can fail, leading to the engine cutting out and refusing to restart. Engine can also refuse to run because of a failed camshaft position sensor. As with the crankshaft sensor, they're susceptible to water and dirt ingress. Front springs have been known to break. Heaters can pack up (although this is unlikely).